Create clean, accurate verbal notes efficiently with the Olympus RM-4015P. This new desktop dictation microphone combines advanced technologies in an innovative advanced noise cancelling system, which is ideal for noisy environments. 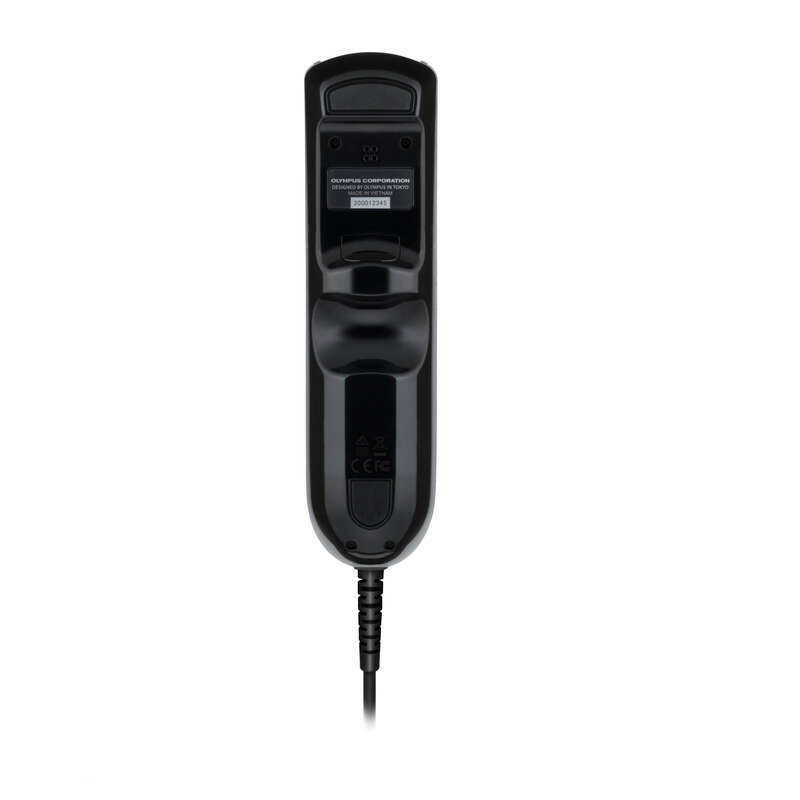 The RM-4015P is specifically optimized for use with speech recognition software, capturing natural speaking voices with ease. Save Dragon user profiles for use with other computers. Intelligent dual microphones control the directionality to keep the focus on the person dictating and suppress non-voice noise eliminating anything outside the human frequency range. In addition, a triple-layer studio-quality filter blocks traditionally problematic sounds including wind breath noise. The RM-4015P picks up accurate spoken audio without any distortion while suppressing unwanted noise, making controlling desktop dictation easy. 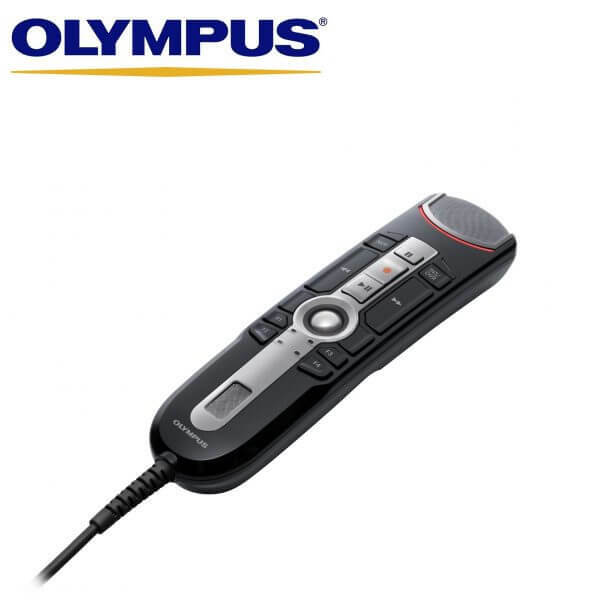 The RM-4015P comes with optimised button layout, four customisable function buttons, clickable trackball with accelerated cursor motion and large Rec LED indicator for easy visual cue of device operation. The RM-4015P is easily configurable with third-party applications without having Olympus software running. Preset recording modes for each recording environment. Preset button modes for Dragon and Windows Speech Recognition. Using the HID Keyboard Mode, configure hot keys for applications to the buttons on the RM-4015P. 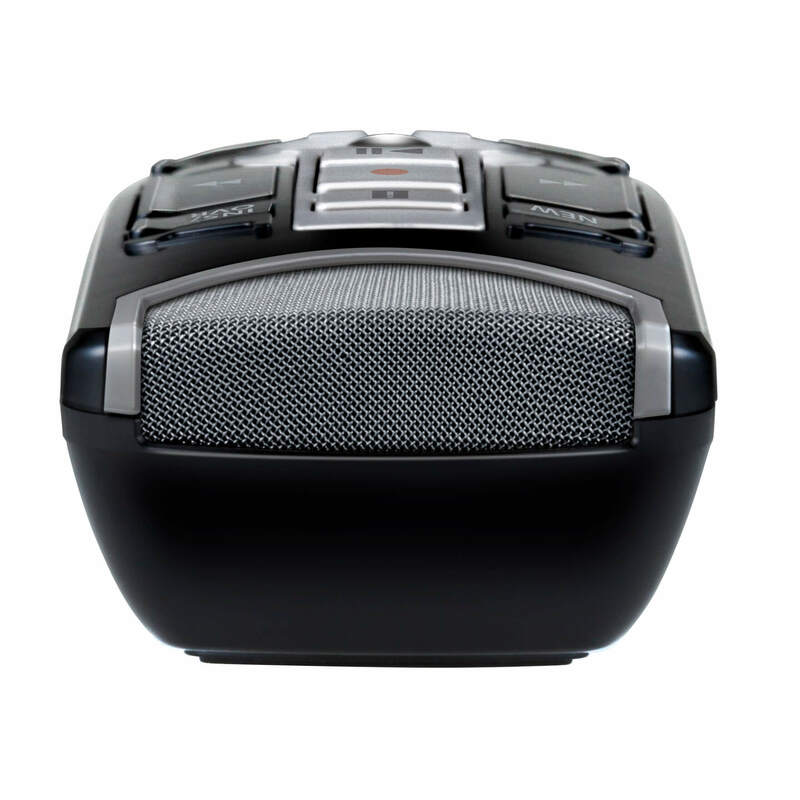 The housing and buttons on the RM-4015P are made of antimicrobial coating material (ISO 22196). The “tolerance to alcohol” design allows for superior cleanability. Determine whether your recording environment is suitable for speech recognition – press and hold two buttons while the RecMic analyses the environmental noise and then indicates by LED if the environment is good for speech recognition.